Ok, can I just say that I am so going to miss my weekly dose of Isaac Mizrahi! He is by far my FAVORITE artist/designer to watch on tv. He is just so out there and crazy talented, I just adore him! 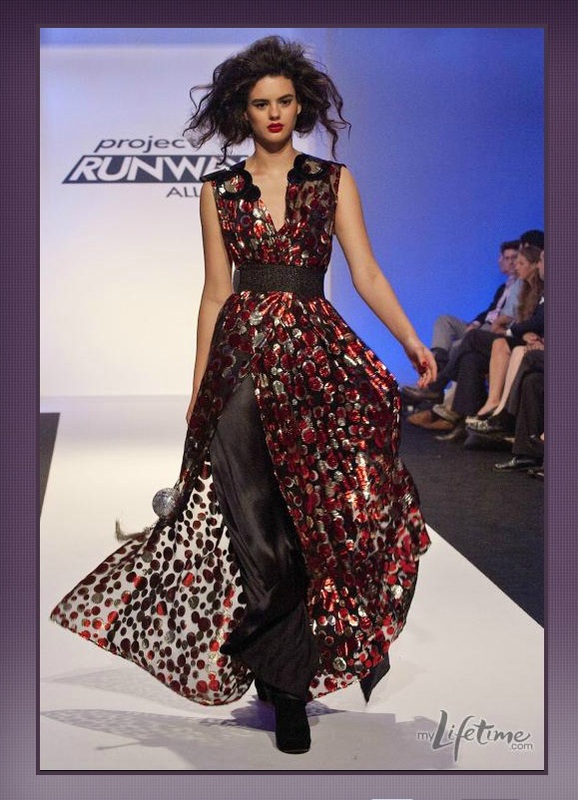 Anyways, I am hoping by now you have all seen the finale of Project Runway All Stars. If not, it is available to watch on the mylifetime. Com site with lots of extra footage as well! Some of my personal favorites of the collections were…. Austin and his stunning wedding dress. I would wear that in a heartbeat! It is just so beautiful, so elegant. I agree with the judges however, it didn’t REALLY fit with his collection, and there was a few problems with cohesion. And then there was Mondo….I do sincerely think he was the best designer for the prize. And what I mean by that is I think he is the best fit to be not only starting a line with Neiman Marcus, but also being a guest editor, as well as really making a name for himself. In all honesty, Austin would be to into his hair to really work with other people, and Michael, well he doesn’t design for real women. Very few women out there can wear backless, braless, draped dresses. His “ready to wear” style that he tried to translate on the runway is nothing too impressive. I do like most of Mondo’s looks though, especially his Rorschach dress. I think those pockets are awesome, and I really think the smaller buttons would have just made the pockets look larger. Red, silver, and black lame dress? Yes please! I don’t know that I could pull this look of, but I think if I separated the top and the skirt I would have a better chance of looking awesome. I love both pieces all the same though! Do you think the right designer won? Given the three, I think so. But I would have LOVED to see what Rami could have made for a collection, I’m sure it would have been absolutely beautiful. nice idea.. thanks for sharing..